Every employer faces the task at some point of finding the right employee to fill a job vacancy. Failure to hire the right employee may lead to significant costs in terms of both time and money, not to mention potential damage to customer relationships and co-worker morale. To hire the right employee, employers must ask questions to determine which applicant will best fits the demands of the open position. However, if an employer asks the wrong question, they may find themselves fighting claims of discrimination with their related legal headaches. Therefore, an employer must be aware of questions that may directly or indirectly result in these negative consequences. Thus, when an employer slips up asks an unwise question, they may still be able to survive claims of discrimination if the rest of the evidence establishes the contrary. However, they will still have to pay the costs of defending the discrimination claim resulting from the unwise question. Below is a list of 6 questions an employer should avoid when interviewing applicants and why an employer should avoid them. We will also indicate which are illegal and which are unwise. This list by no means represent all possible illegal or unwise questions, but only a sample of those that employers may be most tempted to ask. 1. Do you have a disability that would interfere with your ability to perform the job? The Americans with Disabilities Act makes it illegal to discriminate against disable individuals by “limiting, segregating, or classifying a job applicant or employee in a way that adversely affects the opportunities or status of such applicant or employee because of the disability of such applicant or employee.” 42 USC 12112(b)(1) This section of the ADA essentially makes it illegal to ask an applicant whether they are disabled. 2. Have you ever been a member of a union? The National Labor Relations Act makes it illegal to “interfere with, restrain, or coerce employees” in the exercise of their rights guaranteed by the law, which include engaging in or refusing to engage in union activity. Asking an applicant about their prior union activity has been found to have the unlawful coercive effect prohibit by the law. 3. Are you a citizen of the United States? This question is unwise because it touches on the applicant’s national origin and the Title VII of the Civil Right Act, as well as may state discrimination laws, makes it illegal to discriminate against an employee because of national origin. It also fails to recognize that applicants may not be citizens but may still be eligible to work in the United States. 4. What church do you go to? This may seem obvious to some, but can be a trap for an inexperienced interviewer because it can be such common get-to-know-you questions. However, asking this unwise question exposes an employer to claims of religious discrimination, which is illegal under Title VII of the Civil Right Act and many state discrimination laws. 5. How old are you? This question becomes unwise in situations where the applicant is over the age of 40. The Age Discrimination in Employment Act prohibits employers from discriminating against employees 40 years of age and older. Question about an applicant’s age, no matter how innocent, may lead to unnecessary legal exposure. 6. Have you ever been arrested? The EEOC has determined that questions about an applicant’s arrest history, and the use of such information in hiring decisions, disproportionately impact minority groups. Because of the disproportionate impact on minorities, the EEOC finds that such questions discriminate based on race and/or national origin, violating Title VII of the Civil Right Act. As indicated, the list of questions above only represents some of the questions that may be illegal or unlawful. 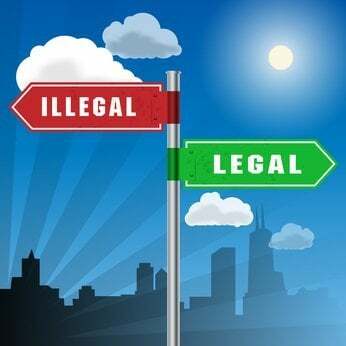 To try to figure out all the questions that may be illegal or unwise, may be impossible, especially since employment laws regularly change both on a federal and state level. So what can an employer do? 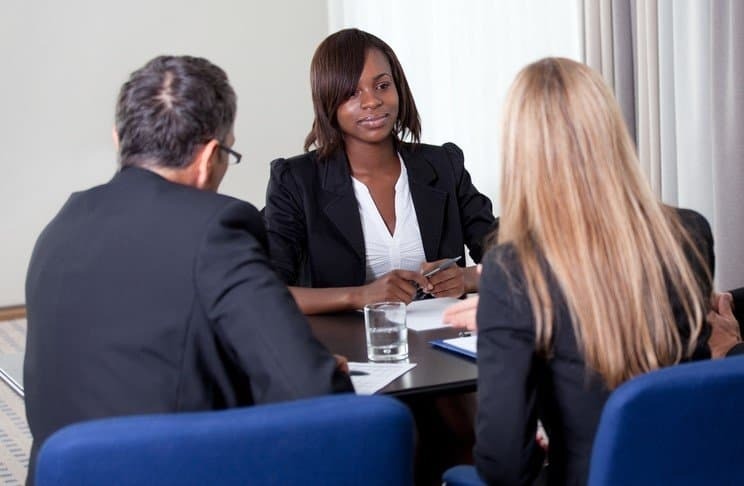 The best defense to asking illegal or unwise questions is to only ask questions that relate to the duties and requirements of the job for which the applicant is interviewing. None of the questions listed above fall within this category. Working from a job description and restricting questions to an applicant’s ability to perform the job as required helps keep questions focused on what matters instead of what may lead to legal liability. For additional help in asking the best questions to find the right new employees, I recommend you read “Best Interview Questions to Ask Applicants” and its listed resources. Drew Lunt is the President of The Lunt Group LLC, the company that owns and operates EmploymentLawHandbook.com. Mr. Lunt is a licensed attorney with over 15 years experience practicing employment and labor law. His prior experience includes working for private law firms as well as the National Labor Relations Board and the Equal Employment Opportunity Commission. We are grateful to have you as a visitor to our site.